Although Henry Flagg French was selected as the first president of the new Massachusetts Agricultural College, he served in that office for barely two years. 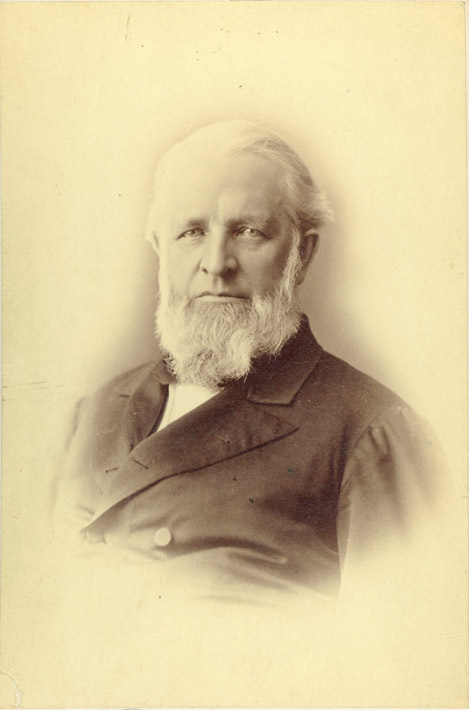 A graduate of Dartmouth and Harvard Law School, French was a strong proponent of scientific agriculture, but in 1866, after falling out with the college administration over campus design, he resigned his office, leaving before the first students were actually admitted. The French collection includes a suitably small body of correspondence, including 16 letters (1864-1866) from French to the original campus landscape designer, Frederick Law Olmsted, and letters and reports from French to college officials, together with published writings, biographical material about French and his son, sculptor Daniel Chester French (1850-1931), and photographs. In part, these are copies of originals in the Frederick Law Olmsted Papers at American University, Washington, DC.